 NutraInk: An Economic Recovery for the Natural Products Industry? An Economic Recovery for the Natural Products Industry? It's difficult to imagine that we have to even think about saying economic recovery for the natural products marketplace. Nevertheless, that's the word on the street. Now comes the announcement this month from United Natural Foods Inc. (UNFI), the leading independent national distributor of natural, organic and specialty foods and related products including nutritional supplements, personal care items and organic produce in the United States, that they beat analyst expectations in their just released third quarter earnings. The company increased sales by 11% year-over-year to $986 million, and net profits grew 16% to $20 million. Statements issued by UNFI attribute the successful quarter to operational efficiencies and strong growth in the supernatural and supermarket channels. And in case you didn't know, the company supplies customers globally with over 60,000 different products ranging from apples to yoga mats, or so says their Web site. Steve Spinner, UNFI president and CEO said "Our fiscal 2010 third quarter reflected the continuing rebound of the natural and organic industry as our growthaccelerated during most of the quarter, resulting in both record revenues and net income." It should be noted that UNFI also raised its full-year sales guidance and narrowed full-year earnings to the higher end of the range. Furthermore, UNFI extended its agreement with Whole Foods Market for an additional seven years allowing UNFI to remain Whole Foods primary wholesale distributor in the markets it presently serves. This extension provides substantial earnings visibility to UNFI. Whole Foods accounted for 33% of UNFI's sales in fiscal year 2009. So what does this all mean? It's been said that as UNFI goes, so goes much of the health food and natural products market. Combine strong sales that appear to be in an upward direction and UNFI's earnings and successful negotiation of a long-term deal with Whole Foods could point towards bluer skies ahead and suggest positive news may lie ahead for the natural and organic segments of the market. Regarding the economic recovery, in a recent interview conducted with Brian Stuesser, president of Global Recruiters of Madison, WI and founder of WholePlanetJobs.com and the Natural Products Division, I asked him if natural products industry companies were hiring. Stuesser, whose company is roughly 50% fully retained executive search, generally at the director level and above, with the other 50% of contingency or engaged search usually at the manager level or below, said that since he launched WholePlanetJobs.com in 2005, he has not seen more activity than he is seeing in 2010. "Last year was a record year for our firm, which now includes six people who are dedicated to natural," Stuesser said. And he added, "2010 is trending as our best year ever."